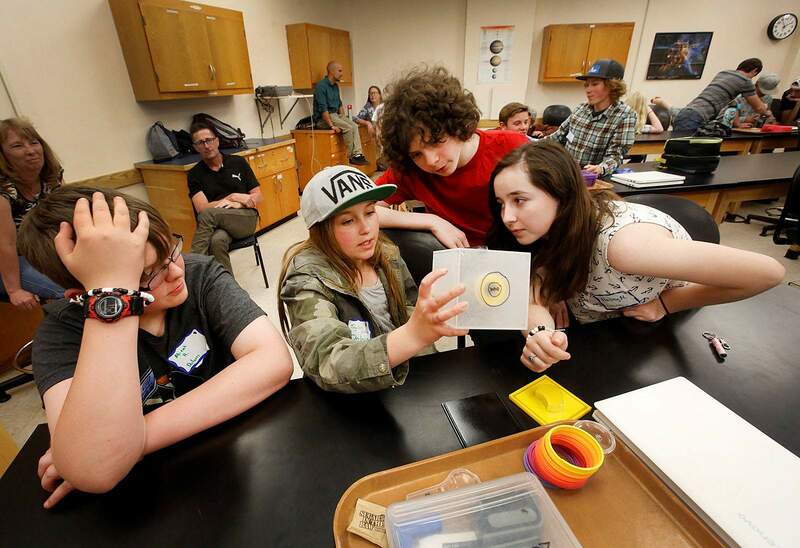 Dolores School District students from left, Micah Hoffman, 13, Taylor LaRose, 12, Joseph Cochrane, 13, and Hailey Melvin, 13, try to figure out what is in the scanning electron microscope after shinning a laser beam into it on Tuesday during the Light, Energy and Imaging STEM Workshop in Sitter Hall at Fort Lewis College. 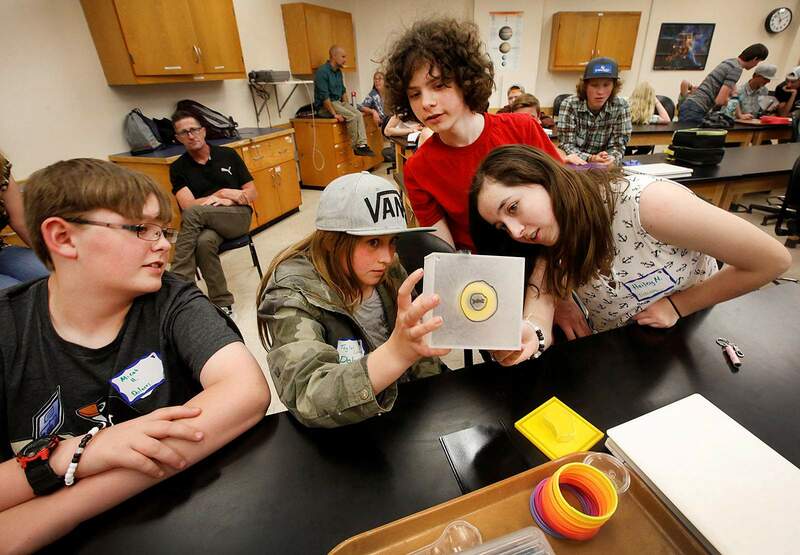 About 60 students in sixth through 10th grades learned about scale and real-time imaging in the Nano-World, explored photosynthesis and solar energy at the nano-scale and learned about tools that change our perspective on the universe. 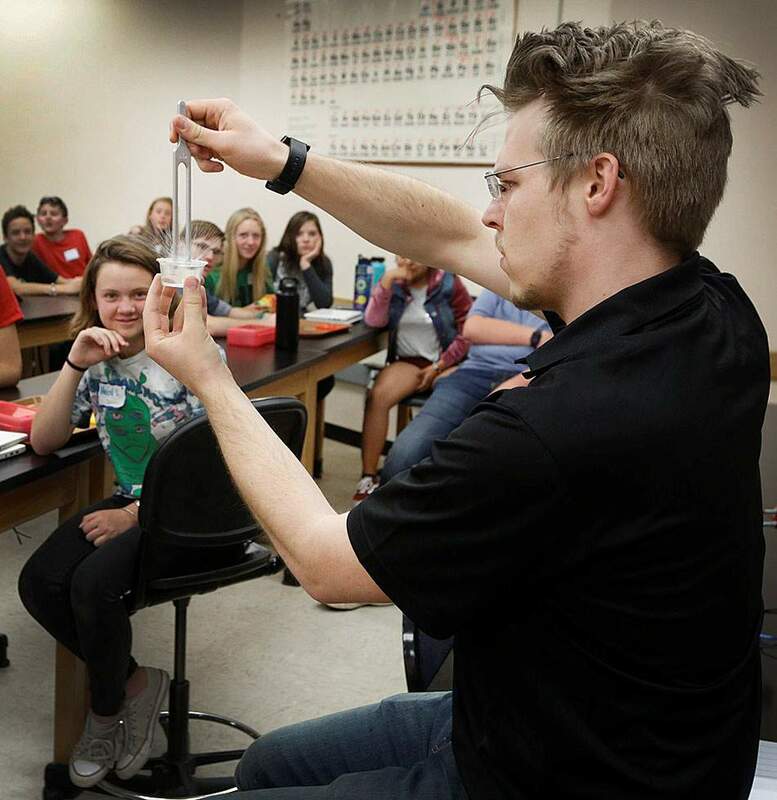 Scott Sieke, a STEM instructor with University of Colorado-Boulder Science Discovery, shows a time scale turning fork demonstration on Tuesday as he dips it in water during the Light, Energy and Imaging STEM Workshop in Sitter Hall at Fort Lewis College. About 60 students in sixth through 10th grades learned about scale and real-time imaging in the Nano-World, explored photosynthesis and solar energy at the nano-scale and learned about tools that change our perspective on the universe.